Note: I saw this performance on the first preview, so there may be changes before the opening night, and this review keeps in mind that the first preview is not always the ‘finished product’. 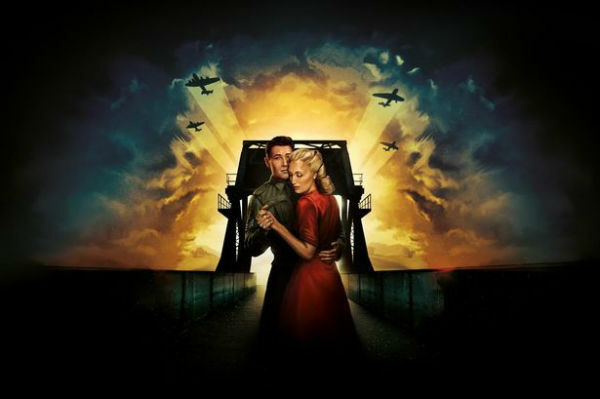 Only the Brave is a landmark production for Wales Millennium Centre. For the past 10 years it has been a leading touring venue, as well as providing a home for smaller local companies to create work in it’s smaller spaces. However it has yet to originate new work on the main stage…until now. 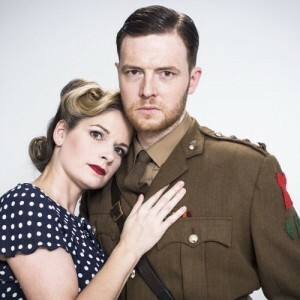 In this co-production with the Soho Theatre, Daniel Sparrow Productions and Birdsonng Productions, Only the Brave is a brand new British musical theatre production. Only the Brave tells the true story of the Airborne division, who in 1943 were recruited, trained and eventually led a crucial part of the D-Day operations. While, as authors Rachel Wagstaff, Steve Marimon and Matthew Brind, note some events have been abridged somewhat, the musical seeks to tell their story. The men we meet are, as they were in reality, a group of mainly working class men who volunteered for an elite division of the air force. As a powerful closing speech shows, after the war they went back to working-class jobs and ordinary lives as window cleaners or bus drivers. However, for a particular nerd such as myself this level of attention to detail in a musical adaptation is outstanding. I would love to see it again just to pick out more of the detail and referencing in the musical numbers that I’m sure I missed. It’s rare that a writing team gives such care and attention to historical detail in this medium, and the writers of Only the Brave have set the bar high in this respect. It’s worth noting again that the characters they write about are real people, and true care and attention has been taken to represent their memories while also carving out a strong piece of drama. Make no mistake that it is that, although the historical elements remain front and centre this is a brilliantly crafted piece of musical theatre writing. The human element of the story takes centre throughout, and because we care so much about the people involved then the story of this one incident in the war becomes all the more emotional. This aspect is brought home by a moment in which one of the soldiers reflects on the tank he’s about to fire on, thinking not of the abstract enemy but the man within-is he a good man? a bad man? does it matter? what matters is he’s a man. This is what Only the Brave does so well-bring faces to the men of the war, the men behind the stories. And of course the women. Because while we follow the men, literally into battle, the narrative never loses the women back at home. And while here the story focuses only on the two wives of the platoon members, we still get a strong sense of the role women played and the difficulties for them. Such intricate writing is not saved for the book, but also reflected in the music. From soaring company numbers to delicate ballads, the emotion of the piece is found in the music. And while there is a period feel to the music (I particularly enjoyed the Andrews Sisters inspired number) the musical writing feels fresh and new. All of the above has been brought together expertly by Steve Marmion’s direction. Making use of some clever projections-from a tank looming over the stage, to the stark outline of the bridge the narrative focuses on. One really struck me, which was the tree at which a resistance fighter was killed, looked in fact so much like the aerial shots of the trenches and battlefield in France during the war that it can’t have been coincidence. Some simple staging with interlocking steps and platforms was all the staging needed to bring to life everything from a nightclub to the battlefields. Having seen only the first preview I’ve deliberately focused here on the writing and staging of the piece. However all the performances did more than justice to the piece- David Thaxton as Captain John Howard showed once again what a powerhouse of a voice he has and that he is capable of emotional, nuanced performance. Caroline Sheen was equally brilliant vocally, as well Neil McDermott and Nikki Mae-who was utterly heartbreaking as resistance fighter Isabelle. The company worked tirelessly, and even this early on worked as a wonderfully in sync group-particular mention to the ‘Platoon’ who have the most physically and vocally challenging combinations. This is a company who no doubt will take this production far-I only hope to revisit it to see how they do.